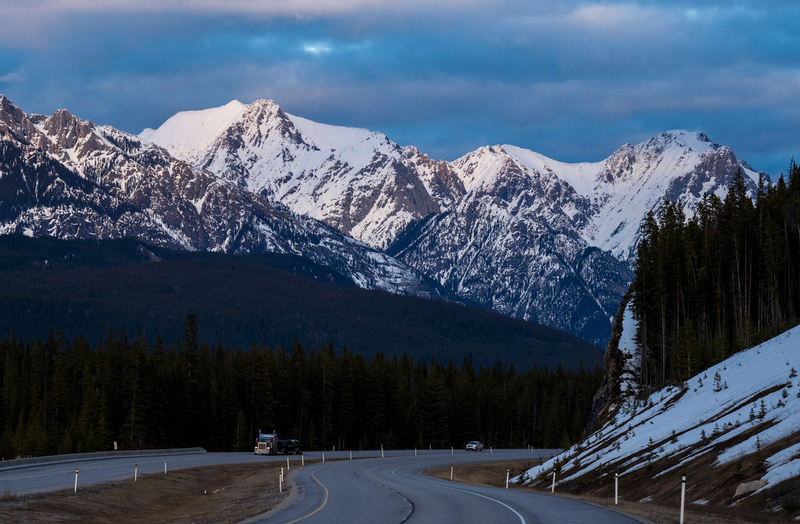 A truck travels along the Trans-Canada Highway at dusk in Banff National Park in 2017 in Alberta, Canada. Three climbers are presumed dead after an avalanche in the park. Three of the world’s most elite climbers are missing and presumed dead by park officials after an avalanche in Alberta, Canada. “Based on an assessment of the scene, all three members of the party are presumed to be deceased,” the park said. “Search and recovery efforts are not currently possible due to weather and dangerous avalanche conditions,” it said. The avalanche hazard is expected to continue continue, Parks Canada said, because of more strong winds and precipitation. Washington native Roskelley, 36, was the youngest American to summit Mt. Everest. 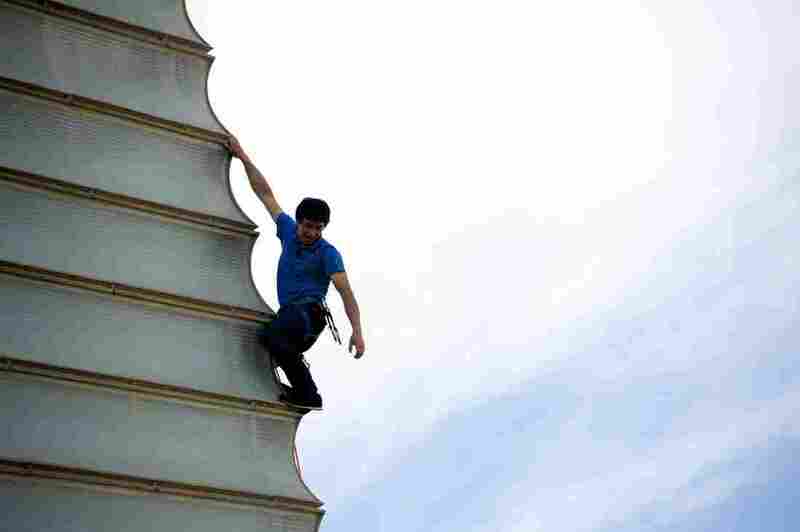 He accomplished the feat when he was 20 with his father John, who is also a well-known climber. Jess Roskelley has been called “one of America’s boldest alpinists,”as Men’s Journal wrote. Spokane newspaper The Spokesman-Review said he made first ascents in Alaska and in northeast Pakistan. Austrian climber David Lama climbing the Kursaal building during the 2013 San Sebastian International Film Festival in San Sebastian, Spain. David Lama, the 28-year-old son of a Nepali mountain guide and an Austrian nurse, made waves extremely early in his career. According to the trio’s sponsor The North Face, “at age 12, David became the youngest climber in the history of the sport to complete an 8b+,” an extremely difficult rock climbing grade. Lama made the first free ascent of the southeast ridge of Cerro Torre in Patagonia, which was documented in a film called Cerro Torre: A Snowball’s Chance in Hell. Auer, 35, who grew up in the mountains of Austria, was known as “one of the world’s top solo climbers,” as Outside reported. In 2007, he famously free-soloed “The Fish,” a legendary route on the south face of Italy’s Marmolada. “All three of them, they had in common this similar goal of going and doing remote climbs on big mountains in a very pure, alpine way,” Gripped magazine Editor-in-Chief Brandon Pullan told CBC. The difficult route that the group was on had only been climbed once, according to the broadcaster. Chinese writer-director Bi Gan’s new film centers on a former casino owner haunted by the memory of a woman from his past. It features a 59-minute sequence, shot in a single take and converted to 3-D. The Pulitzer Prize Board recently awarded Franklin, who died in 2018, with a special citation for her “indelible contribution” to American music and culture. Originally broadcast in 1999. Debris from Hurricane Michael rests along a canal on Oct. 18, 2018, in Mexico Beach, Fla. NOAA upgraded the storm to a Category 5 after completing its analysis. Scientists at NOAA’s National Hurricane Center have found that Hurricane Michael had an intensity of 160 mph when it made landfall at the Florida Panhandle last October. That means it was a Category 5 hurricane on the Saffir-Simpson Hurricane Wind Scale — just one of four such U.S. storm on record. Hurriane Michael had previously been classified as a Category 4, at 155 mph. The last hurricane of such intensity at landfall was Hurricane Andrew, which struck South Florida and Louisiana in 1992. Michael made landfall near Mexico Beach and Tyndall Air Force Base in Florida. It caused 16 deaths and $25 billion in damage in the U.S. Before arriving in Florida, the storm passed over western Cuba as a category 2 hurricane. Hurricane Michael is the strongest hurricane on record to make landfall on the Panhandle, and it devastated communities there. 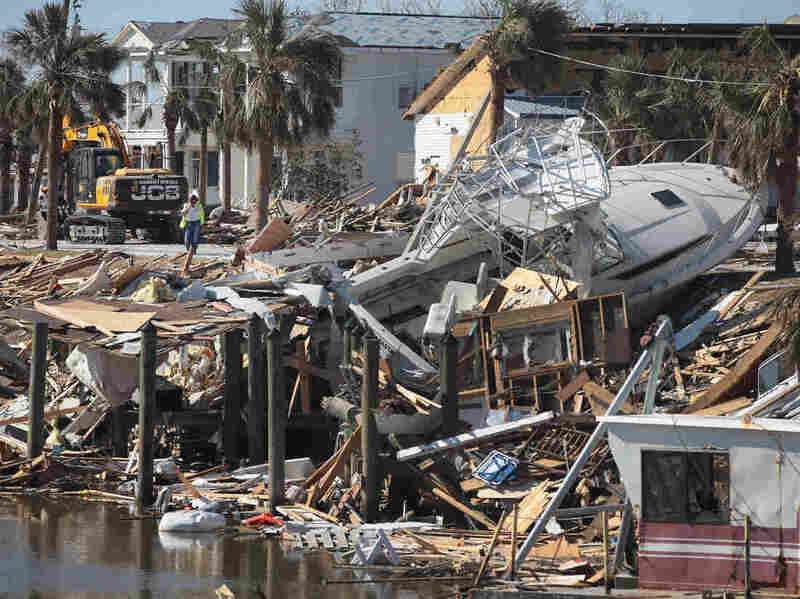 In Mexico Beach, more than three-quarters of the homes were flattened by winds. Six months later, some businesses have reopened, but the area is far from recovered. The other two category 5 hurricanes on record in the U.S. were the Labor Day Hurricane in 1935 and Hurricane Camille in 1969. NOAA’s analysis found that storm surge brought water 9 to 14 feet above normal level along parts of the Panhandle, and reached the highest levels at Mexico Beach. It brought storm surge flooding elsewhere in Florida, as well as along portions of the North Carolina and Virginia coasts. Michael also produced at least 16 tornadoes, though they caused only minor damage. NOAA’s report also notes the direct and indirect casualties of the storm. Among the 16 deaths directly attributed to the storm, five people drowned in Florida because of storm surge and two died from falling trees. Three people in North Carolina and one in Georgia also died from falling trees. Five people died in Virginia from freshwater flooding. Another 43 deaths in Florida were associated indirectly with Michael: falls during cleanup after the storm, medical issues made worse by it, and traffic accidents. You can read NOAA’s whole report on Hurricane Michael here. 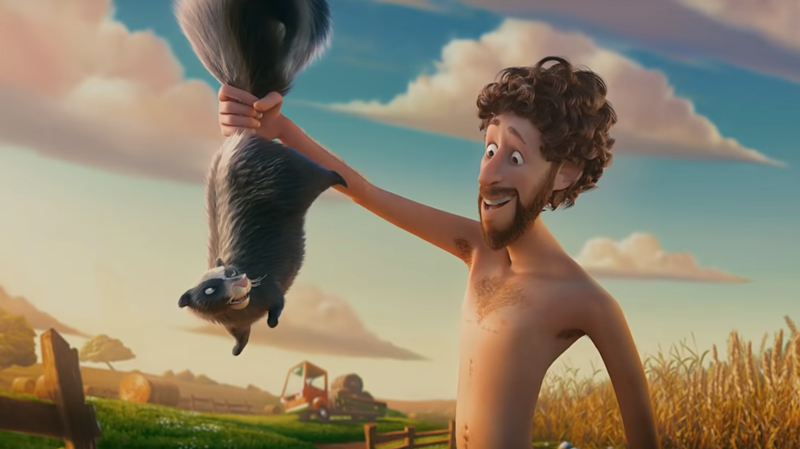 Lil Dicky unveiled the absolutely star-studded, possibly not-safe-for-work animated music video for his charity single “Earth” today — featuring Leonardo DiCaprio as a human and Ariana Grande, Justin Bieber, Halsey, Bad Bunny, PSY, Zac Brown, Miley Cyrus, Sia, Snoop Dogg and countless other celebrities as animals pitching in to save the earth. Watching it feels like watching Madagascar as recounted by DJ Khaled’s Rolodex, or an absurdist rendering of “Do They Know It’s Christmas” rewritten in the language of meme rap and meta-commentary. It’s one of the more enjoyable offerings from the joke-rapper, and its intentions are good (proceeds from the single will go towards the environment-focused Leonardo DiCaprio Foundation). Still: How did this guy manage to land a music video that rivals this year’s Coachella lineup? He transformed that theory into a handful of viral hits, spinning his shtick as a white rapper into bits that resonated with the masses. His breakthrough arrived with “$ave Dat Money,” a song from 2015 that preached fiscal responsibility, subverting the tropes of rap extravagance. It featured (at-the-time) buzzing rappers Rich Homie Quan and Fetty Wap, and went on to chart at No. 71. The following year he joined the likes of Anderson .Paak, 21 Savage and Lil Uzi Vert in the 2016 XXL Freshman Class, a hotly-anticipated roll-call of buzzed-about rappers. Following that came his biggest hit to date, “Freaky Friday.” Produced by hitmakers DJ Mustard and Benny Blanco, its essential premise is simple: a Joe Schmo white guy swaps bodies with Chris Brown — a la the Lindsay Lohan film from 2003. Dicky (voiced by Brown) goes on to say the n-word recklessly. (This part resulted in a scandal involving the women’s lacrosse team from Virginia Tech.) Chris Brown gets to live life unhindered by his history. Both despite and because of its association with Brown, the song netted Lil Dicky his first Top 10 song. At this point, he’s become a legitimate star, signed by superstar handler Scooter Braun, who manages Justin Bieber and Ariana Grande, in 2016 (soon after his XXL feature). So, when Lil Dicky announced on Wednesday that a collaboration titled “Earth” was impending, and that it would feature a bill stacked with stars, it stoked speculation as to what that could possibly result in. Now we know. Checkered context and all, a jokester using his newfound network to make an anthem about climate change certainly isn’t the worst thing he could have done. And, for what it’s worth, there’s no Chris Brown this time around. Clemantine Wamariya, who fled Rwanda as a girl, is now a U.S. citizen. She is a human rights advocate and a speaker. Wamariya was just six and her sister Claire, 14, when the fighting began in 1994. Their parents sent them to their grandmother’s house, located closer to the border with Burundi, with the hope that they’d be safer there. After several days of sleepless nights filled with the noise of bombs exploding, there was an ominous knock on the door. Their grandmother told the sisters to run. Together, they traveled thousands of miles, often by night, usually by foot, sometimes by truck and once by boat on a route that took them to Burundi, Zaire (now the Democratic Republic of the Congo), Tanzania, Malawi, Mozambique and South Africa before being granted asylum by the United States in 2000. Wamariya went on to graduate from Yale. 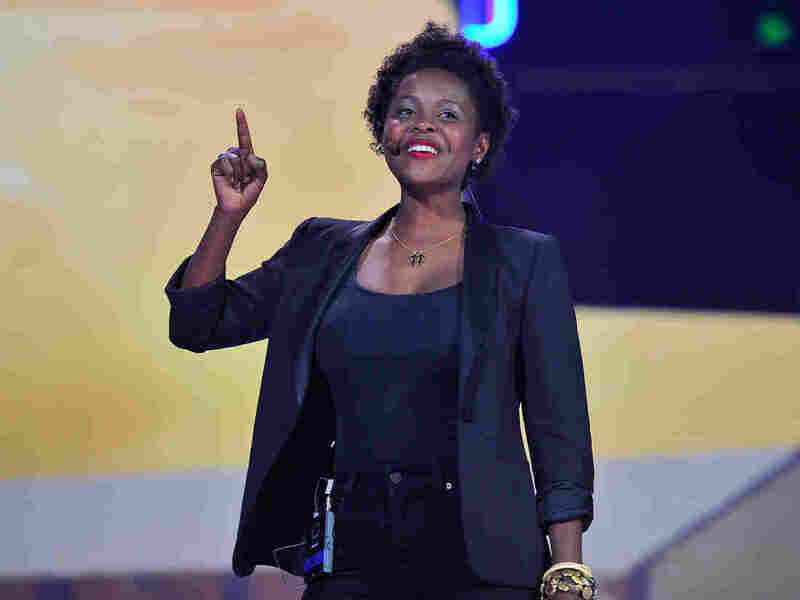 Now 31, she is a human rights advocate and speaker based in San Francisco. We spoke to her about her experiences and about the 25th commemoration of the Rwandan genocide. The conversation has been edited for clarity and for length. Was it difficult to relive your story in your book? I have spent 15 years learning how to best share our experiences and I had to sacrifice every part of my privacy to share my story. You have said you don’t like the word genocide. 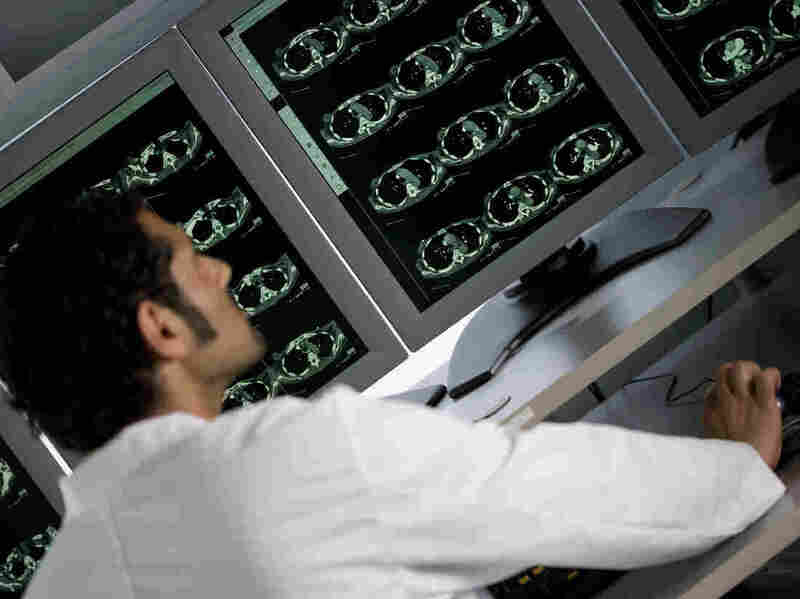 The word is clinical. It has been used to quantify the numbers of those killed. But it does not tell you about the [individual] people who were hurt or lost. It is just the entry point for talking about the horrors and what actually happened [in Rwanda] and elsewhere. I am more interested in expanding on how it feels, the emotional, personal side of the horror, the before, during and after. You also prefer not to be called a “refugee.” What vocabulary should we use? I would prefer being called by my name or a person who sought refuge. The word refugee leads to stereotypes or expectations that don’t allow us to see who someone is. During our travels, Claire and I learned to speak seven languages, but you could see the surprise in the faces of anyone who thinks that people seeking refuge [could not have such knowledge or] did not have a meaningful life before they fled. We need to see beyond the projections that we cast onto each other. In America, we all have stories about how we [or an ancestor] sought refuge. We clash when we forget that was the case or when [we] start to believe that one person’s refuge story is better than or worse than another’s. You wrote that you found a way to begin talking about those horrors after you read Elie Wiesel’s Night, his memoir about the Nazi genocide of the Jews during the Holocaust. I read it when I was in eighth grade [in Chicago]. It awakened me to a shocking side of humanity. It offered me words to feel what I had thought was unspoken, and Maya Angelou and Toni Morrison gave me the freedom to speak. You later wrote about Elie Wiesel in a submission to the Oprah High School Essay Contest and said that maybe if Rwandans had read Night, they wouldn’t have decided to kill one another. That essay also led to your appearance on Oprah, who arranged to fly your parents and siblings from Rwanda to her studio for a surprise on-air family reunion. We had not seen each other in 12 years. I felt gratitude and joy that I still have yet to find words to describe. But also anger that nothing could restore the time we had lost with each other. I have learned to forgive … all that happened to separate us. Do your parents talk about the past? My parents live in a never-ending present, unable to talk about what happened to us. At first it was frustrating, but now I can understand that attitude. Your story is deeply intertwined with that of your older sister, Claire. Tell us about her. She is a heroine, like Xena the princess warrior, real and of our time. The map [of where the sisters traveled] is all Claire, her decisions about which place would be farther from wars and give us opportunity to live freely and to be seen for who we are and have a sense of agency and where we would have respect. For the past 10 years she has worked with many who have sought refuge in Chicago and with an organization called Women United for Immigrants and Refugees. You discuss the many difficulties of living in refugee camps in Burundi and elsewhere. How did you feel as a person? It is easy to get lost because all aspects of who you are, at least the things that used to make you a person, are stripped away. What are the important points for refugees to share? The person who has lived and survived in these conditions has to break the silence and talk not only of gratitude but the horror in these camps. In most, people have to walk at least hours to fetch water. Monthly food portions, if camps are lucky to receive any, are [often] maize. I invite everyone who is involved with refugee camps to have a meaningful conversation [with the refugees] they serve about what would make these places a place of refuge. What are your thoughts as you commemorate the 25th anniversary of the start of the Rwandan genocide? Every American and every person who wants to know what hate can do should look at what happened in Rwanda. If you want to know that peace is possible, you should also look at Rwanda now: [Rwandans] working together every day to create peace and to live beyond hate. I am very proud of Rwandans. Gina Rodriguez, DeWanda Wise and Brittany Snow star in Someone Great. It’s the foundation of movies both silly and not so silly, including After Hours, Superbad, American Graffiti, Adventures in Babysitting, Go, Can’t Hardly Wait … there are a lot to choose from. A new one coming to Netflix this week that’s of the “female friendship forever” variety is Someone Great. Written and directed by Jennifer Kaytin Robinson, it’s a comedy about three New York women who just want — of course — to get into one big event and to get a little crazy. Jenny’s friends have their own complicated love lives: Erin is afraid to meet her girlfriend’s family, while Blair carries on a boring relationship with a boring man. Will they find their own resolutions even as they chase Jenny’s quest across the city? Well, yes, of course. Is that RuPaul Charles playing Hype the molly dealer? Why yes, it is. Like most similar movies, Someone Great is episodic and studded with cameos. Episodes include classics like The Girls Hit The Convenience Store. The Girls Buy Molly From RuPaul. The Girls Steal Weed From Jaboukie Young-White. The Girls Bump Into Nate’s Cousin, Rosario Dawson. Some work better than others, and none lasts very long — one of my very favorites comes at the very beginning of the film, when Jenny commiserates on a subway platform with a woman played by the very funny Michelle Buteau, who’s gone before you know it. I would have watched another 10 minutes of Rodriguez and Buteau snorfling and admiring each other’s beauty — and I’m pretty sure you can see Rodriguez break at one point, too. And yet, Someone Great is seriously invested in the emotional toll of Jenny’s breakup. This is the first time I’ve seen Stanfield (who appears mostly in Jenny’s memories) as a straight-up romantic lead, and he’s very good. The relationship feels lived-in and significant, making her grief — while it’s often funny — also rather poignant. Predictably, the needling of those memories means Jenny winds up wondering whether she’s sure she should be breaking up with Nate at all, a question that seems legitimately open until the very end of the film. That’s hard to do. If you know Gina Rodriguez as the gentle lead on Jane the Virgin, you’ll find a very different version of her here. This character is, for the moment, a mess, and Rodriguez really digs in, especially when Jenny’s drunk. Who knew Jane was a fun filthy-mouthed drunk? Rodriguez is also a producer on the film, as is filmmaker Paul Feig, who’s been responsible in varying capacities for a heap of comedies that star and elevate women, including Bridesmaids, The Heat and Spy. 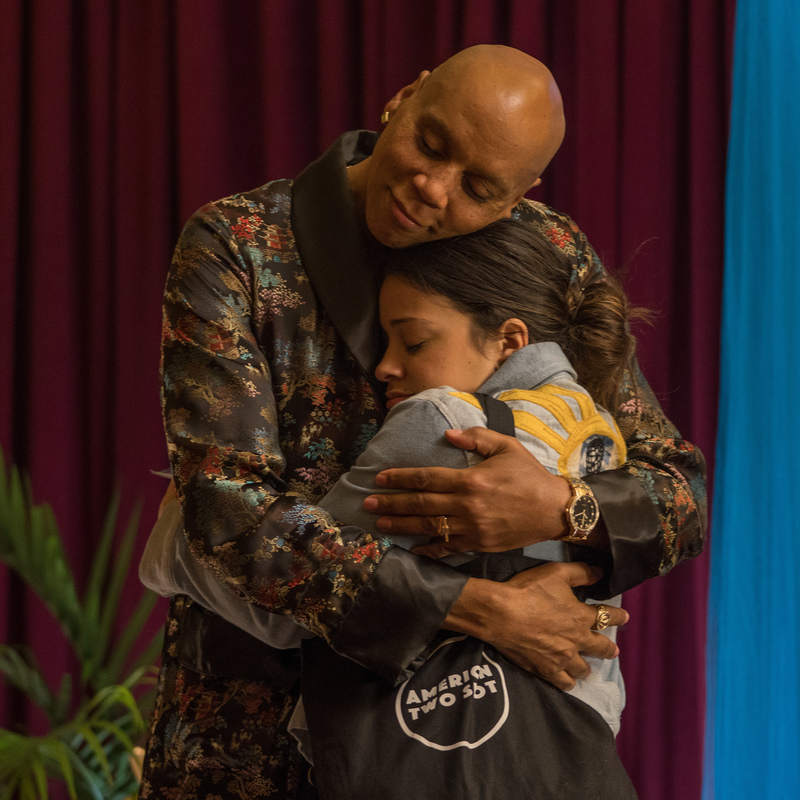 Someone Great isn’t as strong as any of those, but it’s deeply felt and a lot of fun, and as a streaming weekend treat, it gets the job done. 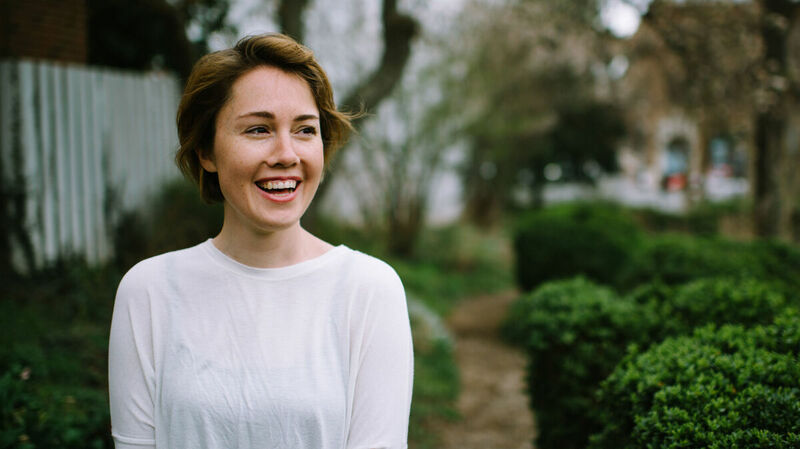 Caroline Shaw’s album, Orange, is devoted to music for string quartet. Caroline Shaw‘s new album, Orange, is a love letter to the string quartet. The North Carolina native burst onto the music scene in 2013, when she was the youngest composer to win a Pulitzer Prize. 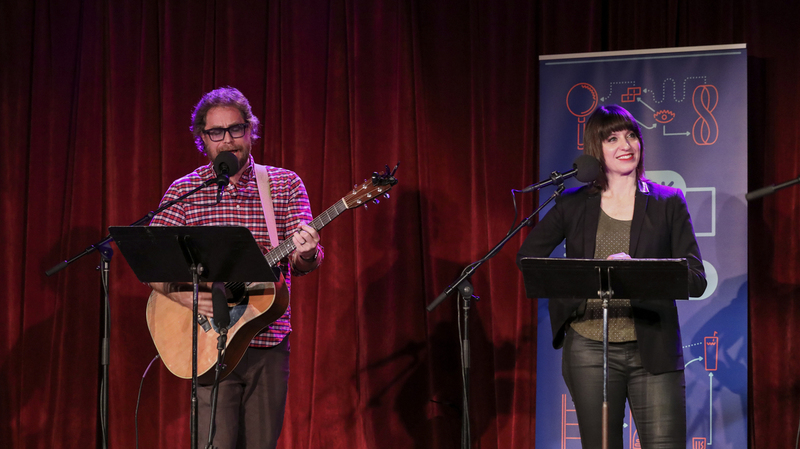 She’s still in her 30s and now, for the first time, there’s a recording devoted entirely to her work. The album is like a garden, Shaw says in the liner notes. The soil contains musical remnants of the old masters which nourish her own new compositions — a refreshing twist on a centuries-old genre. In a piece called “The Cutting Garden,” she grafts sprigs of Mozart then Ravel onto her own new quartet. The musicians playing Shaw’s music — tending her garden, as she puts it — are members of the Attacca Quartet. It takes agility and precision to pull off this music, which tends to shift gears suddenly. The album’s opener, Entr’acte, is all about abrupt juxtapositions and was inspired by a particularly lovely transition in a string quartet by Haydn. At one luminous point in Shaw’s piece, the Attacca players negotiate a thicket of pizzicato, then pivot to a single viola bowing across all four strings. Shaw is inspired by more than just the classic composers. In a piece called Limestone & Felt, she imagines herself in a Gothic cathedral, where shards of melody bounce off the walls and intertwine. In another, Valencia, she creates an ode to the noble, store-bought orange, marveling at its architecture, its tiny sacks of juice explode via a pulsating spray of plucked notes. Shaw doesn’t like to be called a “composer.” She’s more comfortable with just “musician.” And, I guess, that’s appropriate. Shaw has a master’s degree from Yale in violin. She’s also an accomplished singer with a quirky a cappella group called Roomful of Teeth, for which her Pulitzer-winning piece was composed. And she’s contributed vocal tracks to songs by Kanye West and Nas. Still, when you hear all the imaginative sounds on Orange, you know you’re listening to the voice of a strong composer. 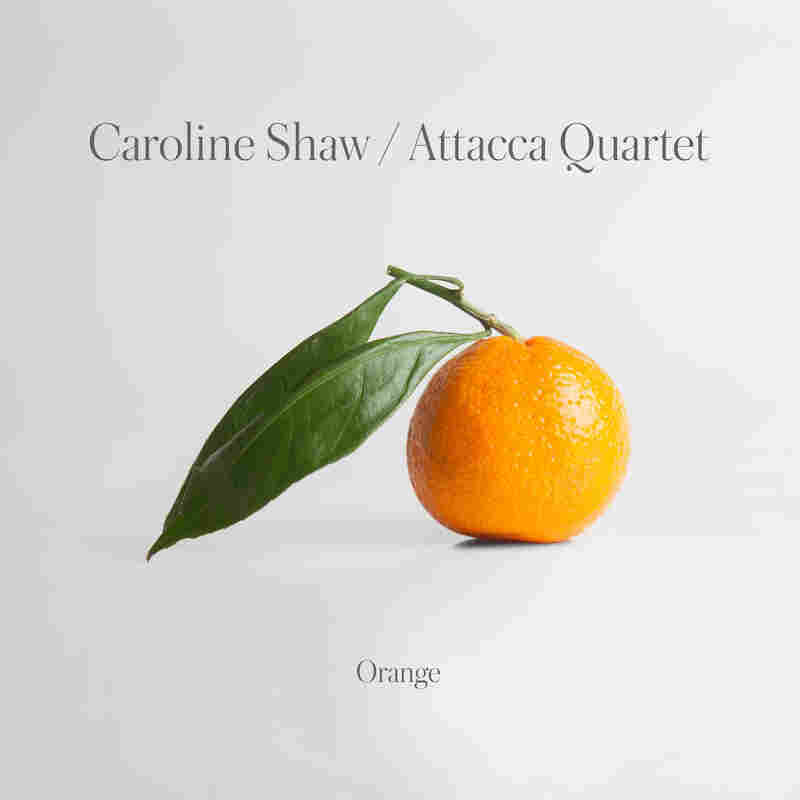 If you thought everything that could be said through the medium of the 250-year-old string quartet has already been said, the conversation just got a lot more interesting with Caroline Shaw’s Orange.